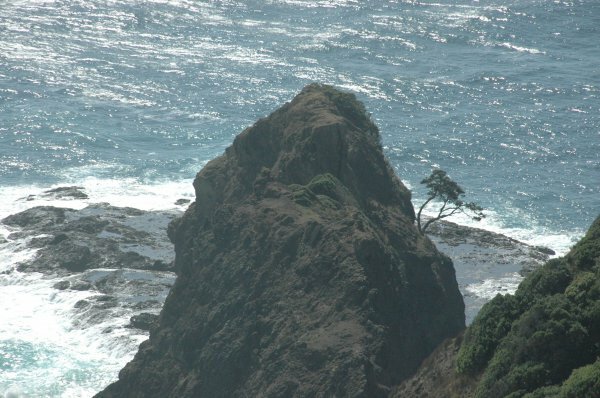 Te Aroha, the legendary tree at the very tip of Cape Reinga. The tree is of great age but it is unclear exactly how old it is. In the 1960's it was considered 800 years old (Hodgson, G.L. 2015). Wind-shaped, roots form the 'Aka', or ladder, down which spirits are said to climb. 01 Jan 1984 Burstall, S.W. & Sale, E, V.
The tree can be seen from the public access area but cannot be approached.